I don’t know a single photographer who would think a Canon L lens-shaped coffee cup is something not absolutely amazing! 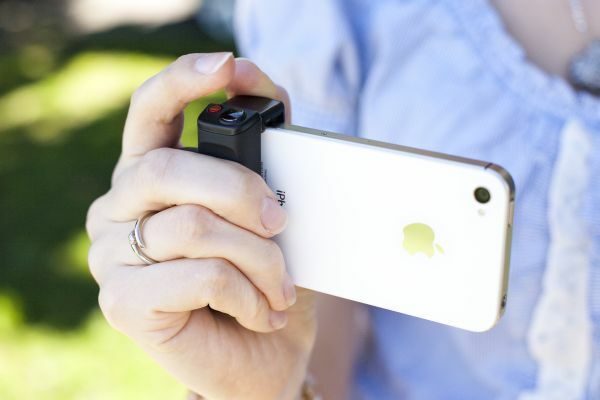 Camera-resembling iPhone cases, camera-shaped keychains, various photo-filters and hotshoe mounted levels. All of them arouse the “I-want-it-now” feeling and make your hand click the “Add-to-cart” button without your consciousness even noticing it. But there’s a “but.” 90 percent of all these sweet and nice things will hardly ever have any practical use. You will play around with them for 15 minutes and then forever bury them on your bookshelf under the dust-covered “Photoshop Lessons for Everyone” glossy magazine. 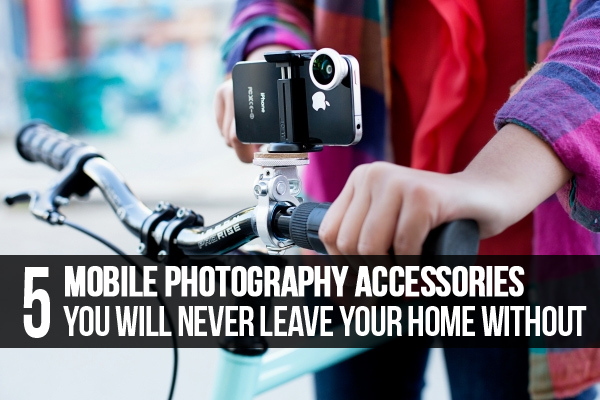 So I thought it would be a nice idea to hand-pick some really useful mobile photography accessories that are not only nice to unwrap, but will also really enhance your photographic style and bring more fun into the process. 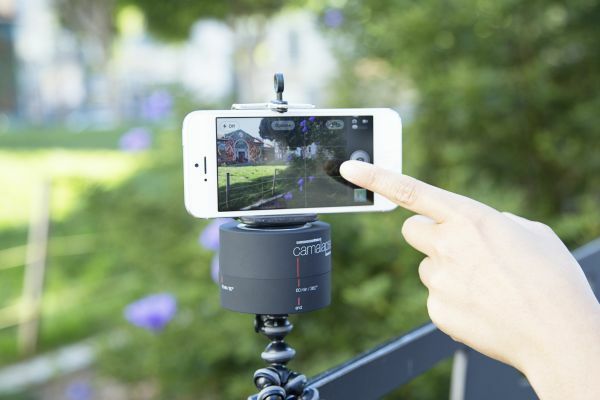 Time-lapse videos are incredibly popular these days. To me, they still look like some kind of magic–time flows differently. What could be more mesmerizing? There are thousands of ways to shoot a time lapse, but there is one fact you can’t deny–more motion brings more drama. This is why it can be a great idea to pan, dolly or truck a camera when shooting. Your video will look twice as good! We have many possibilities to make stunning time lapses when traveling–we need to visit new places to shoot something new, right? If it is not a commercial photo trip, then you can sometimes settle with the video and photo quality your smartphone or compact camera produces. Moreover, its quality today is next to amazing. So setting your phone on this Camalapse is not a problem–when you sit with your friends in a cafe, rest during a hike, etc. Active rest is the photographer’s best friend! I won’t name all the benefits a bicycle has. I will just give you a hint: What’s a vehicle, a sports inventory and a camera tripod at the same time? Did you not always want to record your favorite bicycle route and then watch it while you sit comfortably in your home armchair with a cup of warm cocoa? 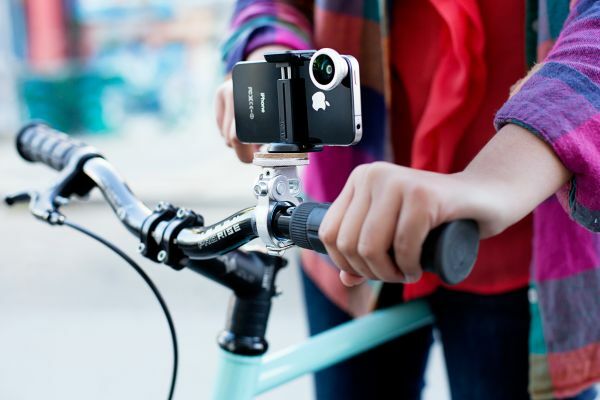 With the help of this camera\smartphone mount, you can easily and securely set your gadget on your bike’s handlebars, pointing the camera at the direction you want. Hint #2: Time-lapse video of your ride is also something you and your friends will really enjoy watching! Hint #3: Use it in combination with a wide-angle lens for your smartphone. We don’t want to miss a thing, do we? Of course, there is a serious alternative for serious guys, like GoPro Hero. Just decide what would fit your lifestyle (and haircut) more. Phone photography is all about fun. But there is a black fly in your Chardonnay–the shutter release button. You just don’t have it. Tapping the surface of the phone is not something a genuine photographer would enjoy. It lacks the feel, and it is certainly not a way to make steady shots in low light. 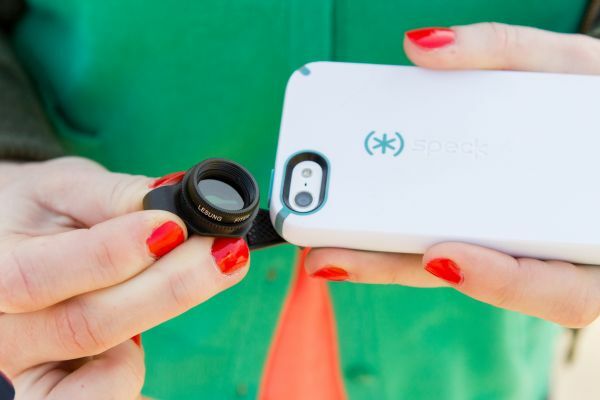 This incredible iPhone shutter grip lets you have a camera when you don’t have one. Just attach it to your phone (if will fit even over a phone case). Now you have a shutter-release button and a video-recording button. Now THIS is a camera! If you have ever tried a polarizer with your photo camera, or at least looked through polarized sunglasses, you know that these filters are priceless–the skies and clouds become more crisp, and the unwanted glare no longer distorts the image. Now you can bring your mobile photos to the next level with this clip-on polarizing filter–it will suit almost any mobile device, such as a smartphone or tablet PC. Just check out the product page to see if it is compatible with your device. How often do you want to capture something beautiful or hilarious with your smartphone, but its lens is too damn wide to get the subject in detail. Or, sometimes, it is not wide enough to get something really big in frame. These mean smartphone engineers just did not think you’d need to cross a six-lane street to have the whole view in frame. 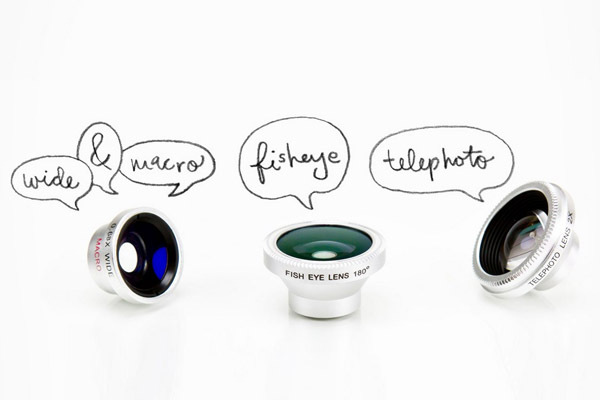 Now it is time to enhance your average mobile camera with a set of professionally performing, interchangeable, high-quality lenses! The brand-new kit contains a macro/wide angle lens, fisheye 180-degree lens, and a telephoto 2x lens, which makes it the most universal set you could possibly want. What makes this set even more outstanding is the ease of interchanging the lenses–you can switch them in no time! These were only some of the many cool items the Photojojo store offers. No matter if you are a photographer or a lawyer, if you check out their site, you will fall in love with it just the way we all here at Photodoto did. They are such a moodraiser!